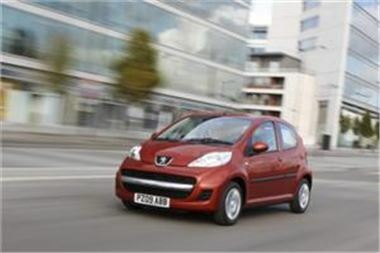 Peugeot's revamped 107 city car has been launched in the UK. Drivers looking for a new three or five door car with low CO2 emissions and high fuel economy may be interested in the 107, which produces 106 g/km and can manage 62.7 mpg. Peugeot insists it has not economised on style, however, having added two new colours - Mandalin Orange and Electra Blue &#150; to the existing range. The passenger compartment has been designed to accent the exterior paintwork, while the look is completed with a repositioned number plate and a new lower front panel profile, which integrates side vents with a grille and two-part insert that can house optional fog lights. "An original and highly contemporary refinement radiates from this design with a wide chrome insert that accentuates the new bumper capping," the manufacturer stated. The new 107 is available in a choice of three trim levels &#150; the special edition Verve, the Urban and the Urban Lite. Motorists who are buying or selling a car of a larger size may want to look at the Peugeot 807 and 4007 multi-purpose vehicles.